If you’ve ever had a concern about your own, or a family member’s hearing, chances are it’s time to get assessed with a hearing evaluation. It’s typical for people with mild to moderate hearing loss to be in denial or even oblivious of their problem, even though family and friends are very aware of it. It’s important to have your hearing tested, because hearing loss often goes unnoticed. Hearing loss and damage is unseen and unnoticed by you. Most hearing deteriorates over the years and can be such gradual progression that many sufferers never notice. 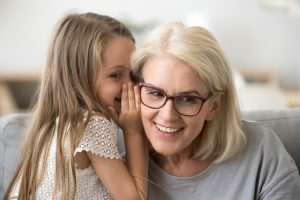 Crystal Vision & Better Hearing utilizes the most accurate and clinically proven screening techniques to improve your hearing including Pure Tone Testing, Bone Conduction, and Speech Recognition Testing. For more information on our hearing evaluations, don’t hesitate to contact us today at (604) 795-5367 (Chilliwack), (604) 466-3937 (Maple Ridge) or (604) 776-3937 (Abbotsford).